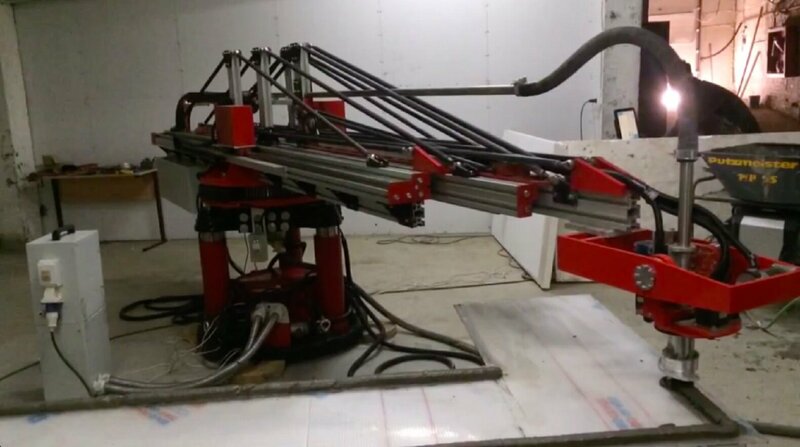 3D printing is set to revolutionize the construction industry and its ability to build affordable houses. A new 3D printer created by Russian engineer Nikita Chen-Yun-Ta is capable of printing over 1,000 square feet per day. In an average city, 1,000 square feet is bigger than most one bedroom apartments and if this technology could be adapted in countries with exorbitant housing costs, it could forever change the way we look at building them. From a micro-revolution in 3D printed nanotechnology to the fantastic potential of 3D-printed homes, it seems the future is nearly now for 3D printing. In creating the Apis Cor, Chen-yun-ta aimed to avoid the cumbersome bulk of previous printers designed to construct houses and building. He also aimed for the machine to be rugged and capable of setting up on almost any surface. One only needs a truck to move the Apis Cor from job site to job site. The printer is ready to go within 30 minutes of arrival. Over the course of 24 hours, the Apis Cor is able to craft a multi-story home with up to 630 square feet of living space by printing layer after layer of appropriate material. This innovative method saves resources, limits waste, reduces labor costs, and consumes less energy. “Ecologists may also feel quite enthusiastic about this machine, as it doesn’t leave any construction waste and consumes only eight kilowatts of energy–as much as five working teapots,” says the Apis Cor team. The Apis Cor and similar technologies can bring enormous positive change to the world, but it’s important to consider the costs of change. Those employed in the construction industry may find it difficult to adjust to a world in which their job can be done more effectively and affordably by a machine. However, it is hard to deny the hopeful promise of 3D printed homes.